I've been into this Korean Skin Care nowadays, and after pass through one week trial of doing a 10-step Korean Skin care, I'm about to reveal the result and give some info to you now whom might be still clueless about it. So let's begin! I have dry and acne prone skin in my T-Zone, basic information that I know is that I gotta do an extra care by adding more moisturizer into my skin. 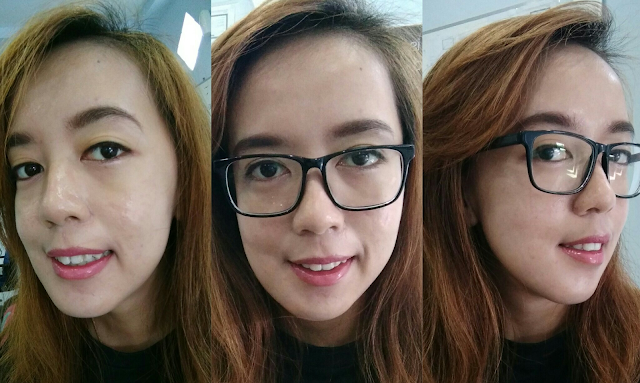 I had experienced a chronicle acne skin in the past due to stress and pollution, but it's now getting better after I used a suitable treatment for about 2-3 years. Dealing with big pore and dark spot weren't easy tho, but thanks to those who invent a BB cream, it does help much. Here's the basic, you gotta need a well clean skin without any dirt, your all day makeup or any obstacle on your face. I usually start with this Etude House Every Month Cleansing Cream in the evening. I directly put the cream on to my dry face with still full of makeup and dirt while give a massage for 30s to 1 minute. Then wash the face with lukewarm water. Etude House Every Month Cleansing Cream is a good product, tho I'm no longer using it anymore now. 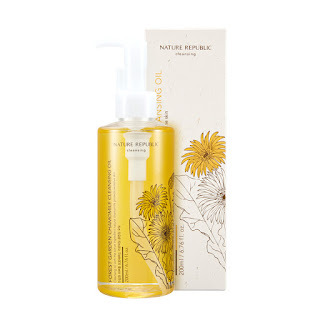 It's not that the product didn't suit my skin condition anymore but I've just purchasing a new product from Nature Republic, Forest Garden Chamomile Cleansing Oil. I'm still new in this Korean Skin Care, and it drive my curiosity of trying another cleansing type. So, this time I'm trying the oil base. COMPARATION RESULT : Well, I prefer Nature Republic Forest Garden Chamomile Cleansing Oil over Etude House Cleanser. I bet it because of my dry skin that after applying an oily base my skin become more balance, smooth and fresh. Thought this was in oil base, the oily effect doesn't really sticky and magically remove the make up pretty well. NOTE : This cleanser only work for your skin. You need to use eye and lip stand alone remover to remove your eye and lip makeup. All makeup are fully removed, but still you need to wash your face again with facial foam to maximize the cleaning and whisk away the residue of oil from the cleansing cream/oil. I'm using Nivea White Makeup Clear. I gave up using Nivea Makeup Clear! It break my face out :( My skin became dry even worst and the saddest part is the sudden appearance of wrinkle. OMG this is really a disaster. So, I move on to Nature Republic Aloe Vera Foam Cleanser. 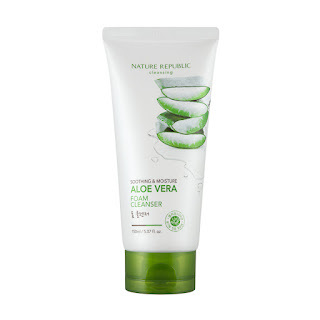 I can say that my face is really suit every aloe vera product from Nature republic, my face become a lot more soft and moisture well. No more wrinkle! My skin is getting better! This was Onsaemeein motto that I believe will be achieved once you done this step. Exfoliating can be done twice a week. I'm using two product ( substitute ), Skinfood Rice Wash Off Mask for better scrubbing and Onsaemeein Carbonated Scoria Bubble Mask Pack to get rid bad pore. NOTE : When using Onsaemeein CSB mask, put a lil amount of water to your face then applied the cream mask to your face. Once the bubble come out, massage your face for 5 minutes and leave it on about 15 minutes before washing. Essence is the heart of Korean skin care routine, it basically made for hydrating and aiding skin repair and cell turnover. I choose the whitening one to help reduce the dark spot and dull skin. Next retiring product : Garnier Light Complete Super Essence. Move on to It's Skin Power 10 Formula WH Effector. I didn't really notice the effect but some how this product make the skin preparation better before the application of BB Cream. 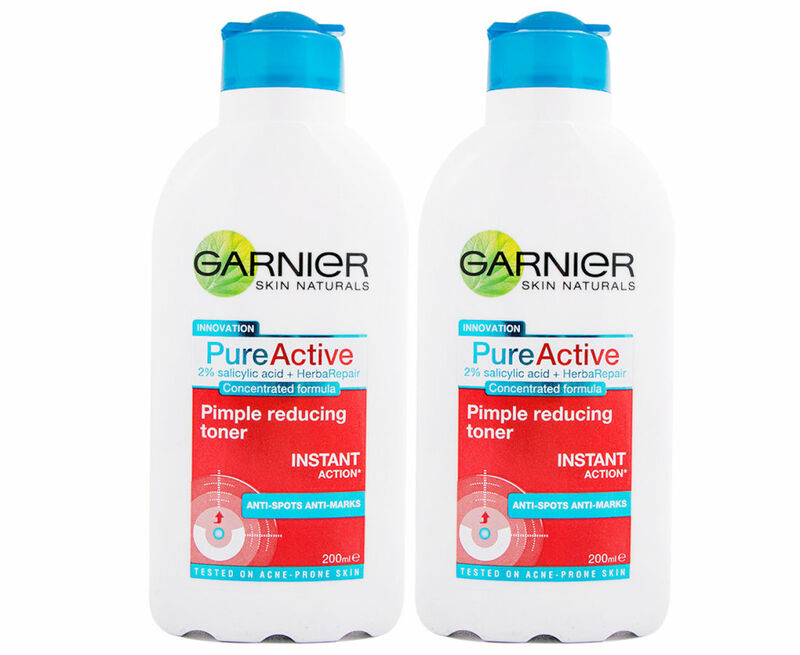 I'm afraid this gonna be 11 step to add this product, but you can add this product as an addition to get more hydration if your face is really dry like mine. 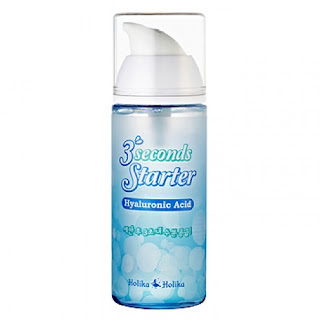 So, I put this Holika Holika 3 Seconds Starter - Hyaluronic Acid after toner and before applying essence. I really love this starter product as it prepare my skin better before applying another product. I notice that this starter make the BB Cream stay even longer and not causing breakout or cakey. You will need serum to focus on some specific skin concern, in this case I need more treatment to reduce dark spot, dull skin and tightening pore. Garnier Sakura White Serum is an oil-based serum, cause it contains of a lot vitamin C and UV protection, even though it has a UV protection, I use this serum also in my night skin care routine. 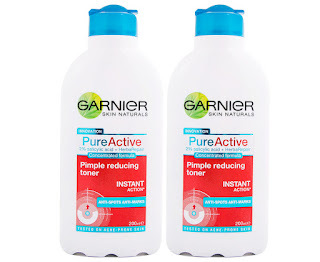 I think I've thrown away a lot of Garnier's products, next retiring is Garnier Sakura White Serum. It's not that the product is not that good enough, but it is my choice to switch serum to ampoule. I've tried Missha Night Repair New Science Activator Borabit Ampoule before, and I start to notice that my skin become more puffy ( in a good way ) and smooth as marshmallow swallowed and melting inside your mouth. That's why I decided to move to an ampoule product. 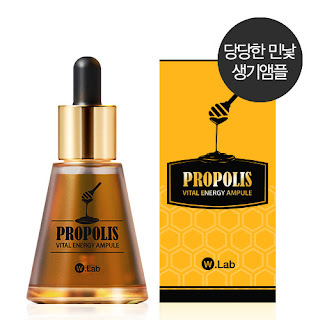 But since that Missha ampoule cost a lot ( $34 ), I prefer the cheaper one to W-Lab Propolis Vital energy Ampoule ( $23 ). This ampoule contains propolis that really good for dry skin, so this is definitely my must-have-item and I will re-purchase it in the future. I rarely use face sheet mask, it's too pricey to use daily in Indonesia ( in my point of view using Etude House or The Face Shop sheet mask ). So I only use face sheet mask at night skin care routine twice a week. Since I have a dry skin type, I choose the one with hydrating and moisturizing. These three are my current favorite nowadays. I've just bought roughly 50 pieces of mask sheet in Althea? No regret, this is definitely good investment. You guys need to try one of these, the effect is no joke. If you want to have a good and bright skin like your K-Pop idol, mask sheet is amust at least 3 times a week. NOTE : After the applicant of the mask sheet you don't need to wash your face again. You can directly continue to the next step. 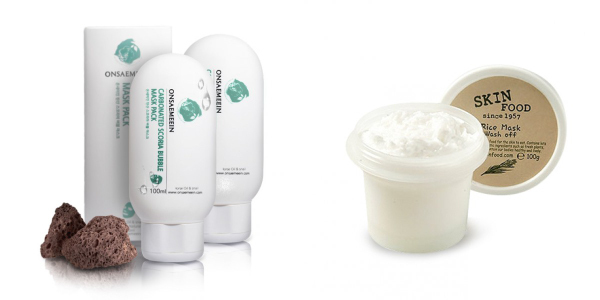 In order to get dewy glowing skin, finding a moisturizer that work also to protect your skin is a crucial step. I still in trial of using this Nature Republic Bulgarian Rose Cream, but this moisturizer is working good so far, not so sticky and absorb really good onto my skin. 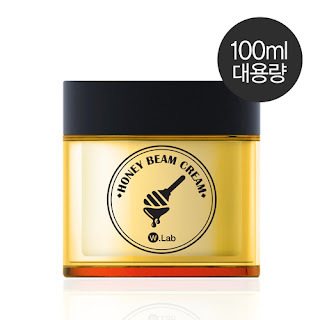 Retired product from Nature Republic made me have to switch to W-Lab Honey Beam Cream. Another perfect product for dry skin. Since I'm using W-Lab propolis ampoule, this cream just a good combination to use with. Since I'm doing this 10 step Korean Skin care routine, I rarely adding a powder onto my face. I just need to put a CC Cream or Cushion to get a dewy glowing skin. Believe me, I stay hydrated, no oily face in T-Zone and dull skin until 6PM ( I work from 9 to 5 in a full air-cond room ). But if in case you have to stay outdoor, especially in Indonesia, I admit it will be challenging. You have to hand on facial tissue and facial mist to stay fresh and hydrated. Good bye to CC Cream and Magic Cushion. Too many product driving me nuts, so I prefer to stick on using Etude House BB Cream Precious Mineral Blooming Fit. It does has a good coverage, but if you got a lot of dark spots to cover, this one might not coverage well enough. But for me this BB Cream is still the best ever. For finishing the night treatment, I cover my face with sleeping pack. Although in many review says to wear the sleeping pack twice a week, I use it every night. 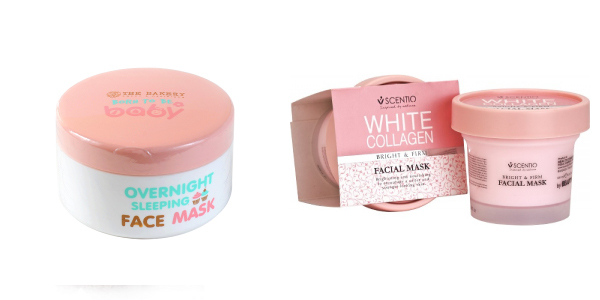 I'm now using two sleeping pack from Thailand brand and using it alternately, once in two days using The Bakery Born to be Baby Overnight Sleeping Face Mask and then using Scentio White Collagen Facial Mask in the next day. Nah, here comes the last step : Face mist! Don't ever, ever, ever underestimate the power of face mist. If you want to have a bright and glowing skin, I mean just like another Korean female idol out there, that you just envy about, go get a facial mist and spray it over your face after applying BB Cream or powder. 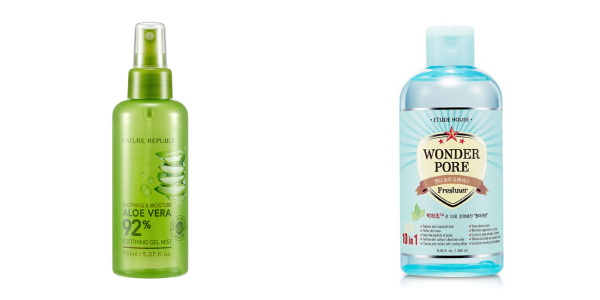 For me, Etude House Wonder Pore Freshner and Nature Republic Aloe Vera 92% Soothing Gel Mist are the best option. I'm serious about this, I mean the rest of it also in serious though but this one is the must and the most serious thing I ever talk to you. LOL Okay, this is the end of the long Korean Skin Care, you can get a rest now. I work indoor, and rarely do outdoor activity so for me having BB Cream with SPF30 / PA++ is enough. Wait, this is just my own believing not the Beauty Guru's suggestion, because mostly Korean will be applying sunblock though they are working mostly indoor. But, if I might spent a lot of time outdoor, I will put Etude House Sunprise Must Daily SPF50 / PA+++ after step #9 and before step #10. Must have because it's not sticky at all, and won't make your BB Cream / Foundation feel cakey. Ten Step Korean Skin Care Routine is Done, Congratulation! How about it? Too tough, ins't it? I honestly feel it too time killing, but I still positively think it as what I'll get in return in the future days. I already feel the short-term result right now, my face became so bright, fresh and moisture all day, I also get up with fresh face. My main point is that I don't have to put a lot of makeup to cover my dark spot and to stay brighten all day with foundation and compact powder again now. The most important in every skin care is the cleaning step, I'd love to do a lot of effort on cleaning than putting a lot of makeup to cover and end up getting more acne. If you have a well moisture and healthy skin, I bet you will no longer need makeup anymore. It's a kind of challenging tho to find more skin care option in Indonesia, as well in Yogyakarta. Even to find the Garnier special treatment ( Serum and Essence ) could need a lot of effort, I get it on beauty store called Mutiara in Yogyakarta, just like Watson in Bangkok. There are Korean makeup and skin care store in Yogyakarta such us The Face Shop and Etude House, but as so you know, the product became so pricey and in limited option. I'm so happy that there was one Thailand and Japan Cosmetics store just opened in Yogyakarta. But still, I need more option, that's why buying it online is the only choice, and thanks to Althea Korea that is now serving in Indonesia.